For the founders of San Francisco restaurant The Perennial, farm-to-table isn't enough. They're hoping for farm-to-table-to-farm-to-table, repeating. "When we got started, we focused on energy and transportation efficiency," says Karen Leibowitz, one of the restaurateurs. "But we discovered that food systems and agricultural practices are a huge part of the climate-change equation." 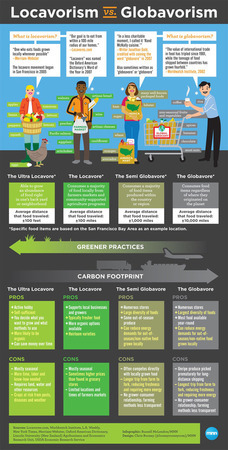 Are you a Locavore or Globavore?